Available in one color red. This is: Tomato Red - Pantone color code PMS 185c. Check out the complete Pantone color-table. The DAR is available in 35 colors. 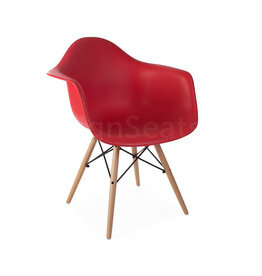 The DAR chair in the color red has been purchased by many of our happy customers. It fits in with almost every interior design style. Add your own review under the Reviews tab. 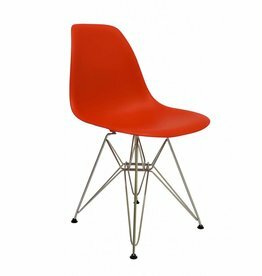 Ordering the DAR Eames Red? 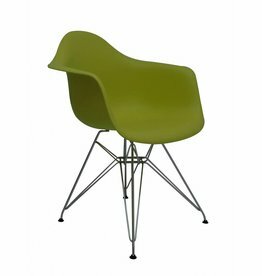 The red DSR design dining chair was deigned by Charles Eames. High quality reproduction for the best price and in multiple red colors. 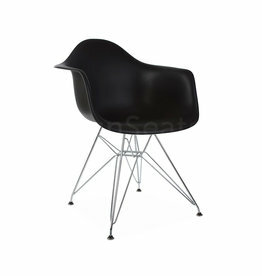 The red DSW design dining chair was deigned by Charles Eames. High quality reproduction for the best price and in multiple red colors. 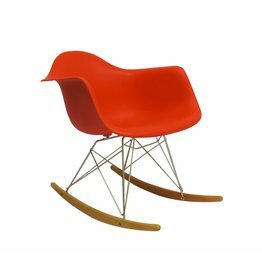 The red DAW design chair was deigned by Charles Eames. High quality reproduction for the best price and in multiple red colors. 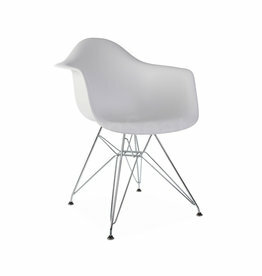 The blue DAR design chair was deigned by Charles Eames. High quality reproduction for the best price and in multiple blue colors.